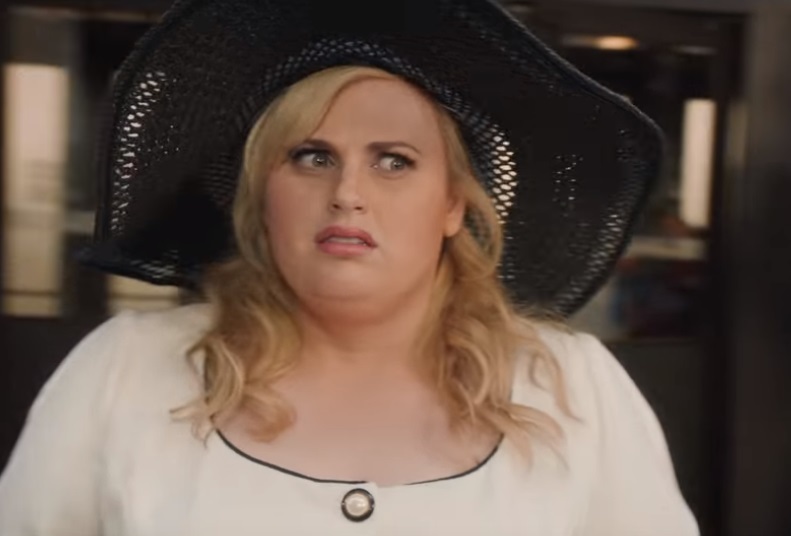 Rebel Wilson Apologizes After “Isn’t It Romantic” Promotional Debacle! 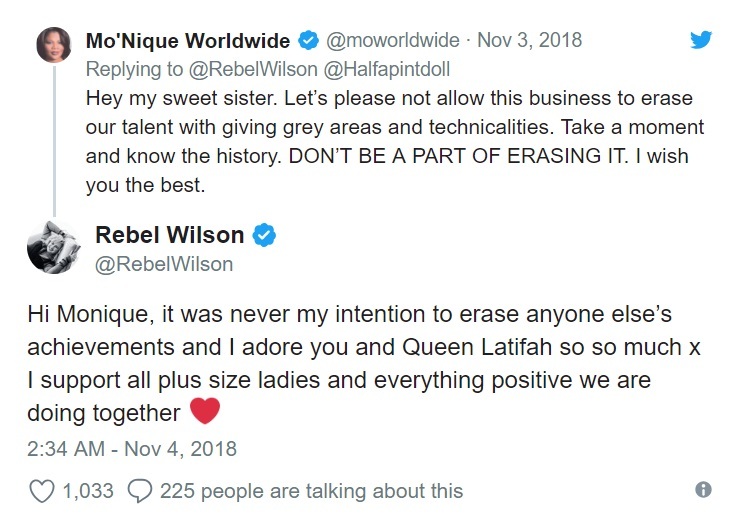 After stepping in it while promoting her upcoming film Isn’t It Romantic, the very talented actress Rebel Wilson finally saw sense (or at least acted as if she had) to issue an apology after people on Twitter shared their opinions about her erasing the work of other plus-sized women in romantic comedies. Of course, people on Twitter told her about the error she made. 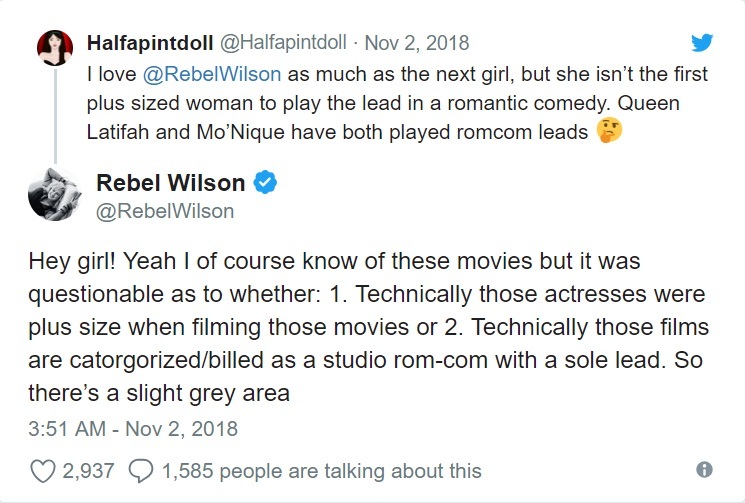 I don’t know what kind of bubble Wilson is living in to consider she is the first actress of her stature to star in a romantic comedy. It baffles me how a talent’s PR team can allow them to make such a mistake. Yes, being the first to do something does sound catchy and makes for an interesting headline during promotional tours, but it has to be true for it to have any positive impact. Wilson continued to dig a deeper hole for herself by replying to some of the tweets and bringing up technicalities. 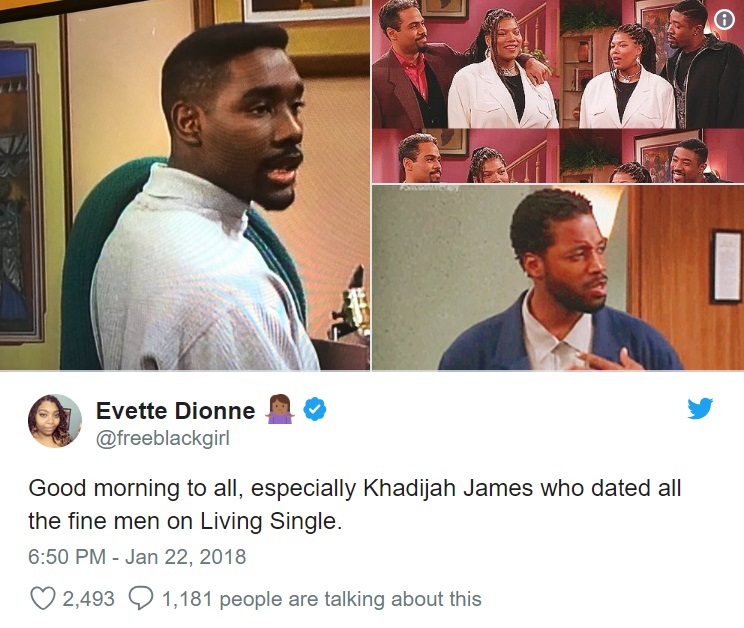 Even award-winning actress Mo’Nique had to step in. 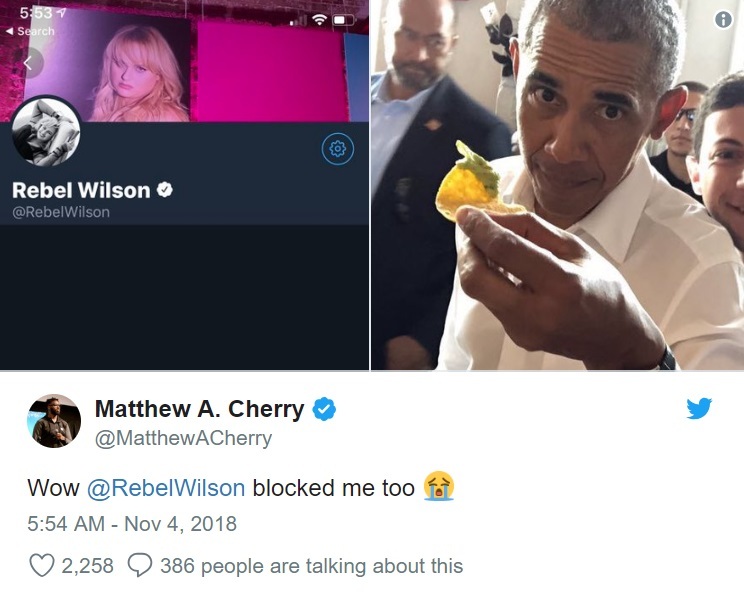 I like Rebel Wilson. 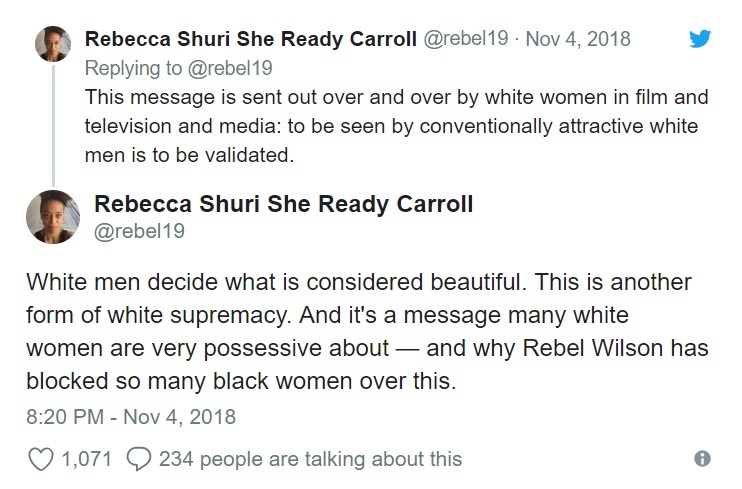 That’s why seeing her continue to reply to tweets in such a misinformed manner and block certain users, notably plus-sized women as well as people of color, was something I wasn’t a fan of. 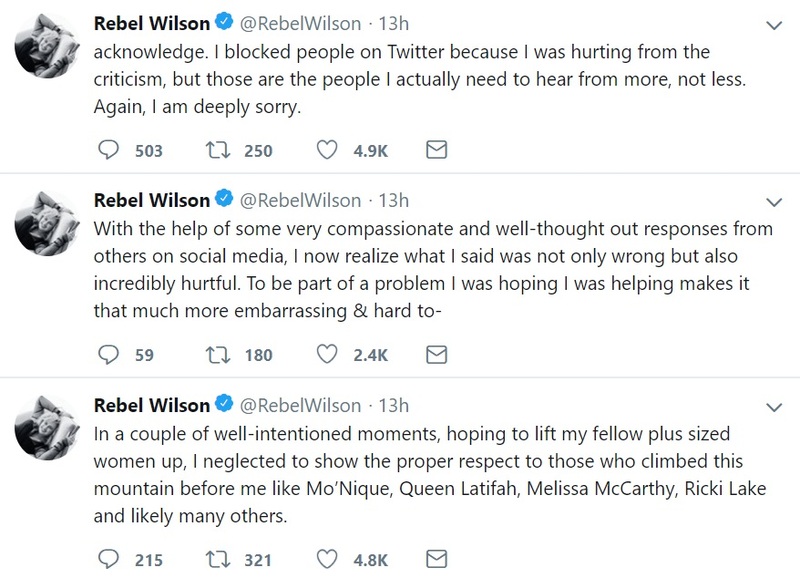 It took some time, but Wilson did issue an apology for her actions and what she said. Her statements did come across as erasure of other plus-sized actresses, especially ones of color, who opened many doors in Hollywood. Queen Latifah is an icon! You can’t just dismiss her work as well as the contribution of others just because of so-called technicalities and grey areas! Now, don’t come at me because I said many actors and actresses (possibly your favorites) live in a bubble. While they should do what they can to better understand the world around them, their management should also step up their game. Someone in Wilson’s PR team should have sat her down, before her promotional tours, and told her to talk about the wonderful work done by other plus-sized actresses instead of encouraging her to pat her own back for being the first. Sigh! I wouldn’t be surprised if this issue comes up again as Isn’t It Romantic nears its February 14, 2019, release date. 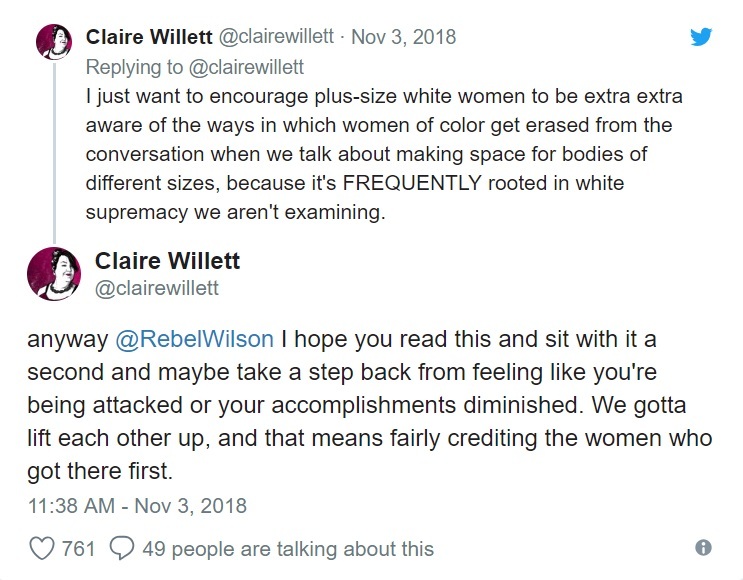 My (unsolicited) advice to Wilson is she should acknowledge this happened and she took some missteps if some interviewer asks her about this issue. The trailer of the upcoming movie also showed Wilson’s character having a stereotypical gay character which can open a whole other can of worms down the line. Also, on the topic of talent blocking people on Twitter, Sean Hayes from Will & Grace has me blocked (I think for years now). I have no idea why. Ha! What do you think of Wilson’s response? Let us know. Previous:November 5, 2018 – New Queer Book Releases From NineStar Press!